A local pharmacy manager has taken extra steps to raise awareness of the risks of high blood pressure and Britain’s fourth biggest killer. Nerys Forster, 31, a Store Manager at Well pharmacy in Roath, took on the Virgin London Marathon for the Stroke Association on Sunday 23rd April as part of the pharmacy chain’s partnership with the charity. Thanks to support from generous colleagues and patients, Nerys has raised over £2,500 for the charity. During her eight years with Well, Nerys has become very aware of strokes, once diagnosing a patient over the phone and immediately calling an ambulance to assist. Nerys has also seen the impact of stroke first-hand at home, with her own grandmother suffering from multiple strokes. 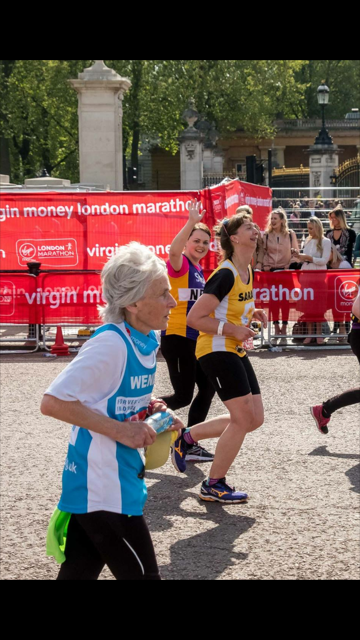 Nerys added: “I was very nervous about the marathon – I’ve only ever completed half-marathons before – so it was a big challenge but one I’m really glad I completed. 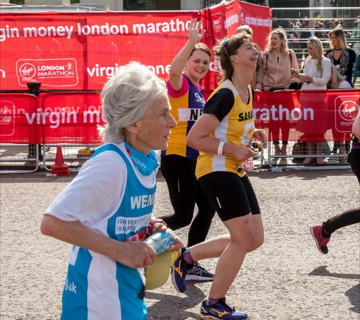 The money I raised will make a real difference to survivors who need support after stroke. Well’s partnership with the Stroke Association aims to raise awareness of high blood pressure as a leading cause of stroke. The national pharmacy chain is working with the communities around its 780 stores, encouraging people to know their blood pressure and supporting them to keep it at a healthy level. To sponsor Nerys, please visit www.justgiving.com/fundraising/NerysForster. For more information about Well’s partnership with the Stroke Association, visit www.well.co.uk/about-us/our-charity-partnership.